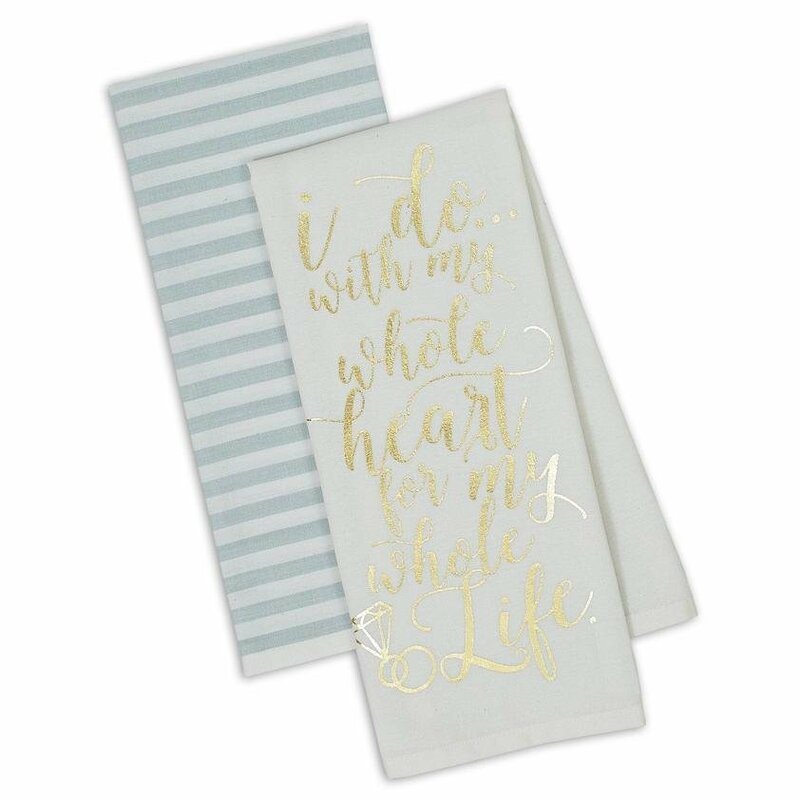 This beautiful set states on a white towel in gold metallic letter, "I do with my whole heart for my whole life". Second towel is white with blue gray stripes. Dishtowel measures 18 x 28". 100% Cotton. Machine wash cold separately • Gentle cycle • Tumble dry low.